Considering all of the car styles, there are more choices in regards to compact cars than any other style. These particular cars are often attractive to younger buyers. These buyers are conscious of value. In providing a wide range of compact car styles, auto producers hope to gain the following and respect of these young buyers. They hope as they get older, they will move into other models offered by the manufacturer. However, given the extensive selection, choosing a compact car can be a difficult decision. Coupled with the terrific deals offered by manufacturers, car buyers have some considerations to make. 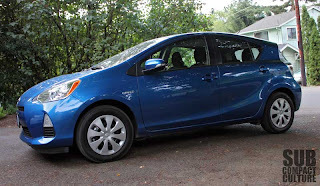 Price seems to be one of the most appealing aspects of compact cars. This attribute targets young buyers as well as those who want to save money. Typically, compact cars can come with different option packages. The base models are of course are much cheaper. However, makers of compact cars are trying to get more attention for their vehicles and have added some unique options to appeal to younger buyers while still maintaining the overall aspects of a compact car. For instance, the compact Dodge Caliber offers a chilled glove box for keeping beverages cool and rear speakers that pop down which make tailgating easy. The Mazda 5, another compact vehicle, has seating for six people which targets families as potential owners. Also, many young people today are conscious of their carbon footprint. They prefer compact cars that make less of an impact. The Honda Civic, Honda Insight and Toyota Prius are compact cars made to target this particular demographic. These cars offer high gas mileage but may make some sacrifices in doing so, such as size. Some consumers are concerned about safety in regards to compact cars. However, today’s automakers are quite conscious of this, often adding both front impact and side impact airbags.